Seems like we never post anything in the news section...so here's a quick update! We're still out there grinding away and slogging the good ol' truck through what appears to be one of the wettest winters around. Our mission is still to bring awesome vegan burritos to everyone in the greater Reno area, so check our events page and get on it! HOWEVER...we'd really love to get into the brick n' mortar game...a place to call home, so if you know anyone, or own a spot that has restaurant potential then you should hit us up! We're always open to hear about new locations/new developments, and would LOVE to have a more permanent home in the near future *hinthint...find us a restaurant spot? *, so keep your peepers peeled! Apparently we've been slacking on the news. On December 5th we won the Food Truck Iron Chef at Wingfield Park that was put on by the American Cancer Society! Though it was freezing there was still some great competition from the other competitors and we're looking forward to next years event! The RGJ did a quick little article about it, so check that out. We won People's Choice as well as the Judge's Choice. RGJ Nom Eats Wins Food Truck Iron Chef! 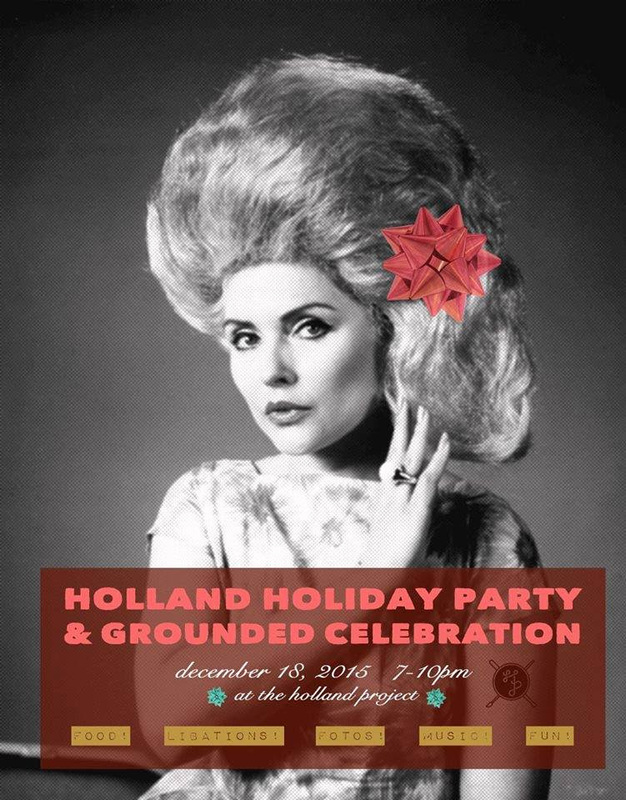 We had a blast at the Holland Project holiday party! We're way excited for them raising the funds to get their building. Looking forward to being at a lot more of their events in the future! We'll be at Great Basin Taps and Tanks (1155 S Rock Blvd Suite 490, Reno, NV 89502) for Moment/Great Basin's 4th release of Deathwish! Come on by and check out all the awesome stuff going down. While we were at Vegan Beer Fest, Masa, from Japan asked Rikki and Ian if he could get a few photos for a blog post about Vegan Beer Fest/Vegans/Awesome stuff...and now here it is!! We'll be turning 1 this month, so come help us celebrate at Reno Public House (33 St. Lawrence, Reno, NV) from 4pm-7pm, and then to Lasting Dose Tattoo & Art Collective (888 S. Virginia St. Reno, NV) afterwards! We'll have cheap beer, soda, treats, games, raffles! Everything you could ever want. Come celebrate how awesome your first birthday was, by making ours awesome. This Saturday (08/08/2015) we'll be at Holland Project (140 Vesta St, Reno, NV 89502) for a benefit show for One Hundred For Haiti It's going to be awesome, so you should stop on by and enjoy some burritos and music while you're at it. We love attending Melissa Williams event, Feed The Camel, which this article proves! We're super excited to be getting some press lately. The Reno News & Review's 2015 best of list just came out, and we happen to be sitting at #2 for Food Trucks (#1 if you take into account that the #1 truck isn't open anymore...). We're beyond excited to be on the list!! We're also pumped to see the Electric Blue Elephant on the list with us, just goes to show that vegeterian/vegans are out there.